Veronica Coleman is a woman of “firsts” who has carved a wide path through Shelby County’s legal community and right into America’s history books. Along the way, she has worked to identify crime’s root and to foster programs to slow its growth. Born in Washington, D.C. Ronnie’s family moved to Brooklyn when she was still a baby. In 1956 her father opened an insurance company in Ghana. Ronnie lived in Africa during her junior high years, but in 1959 she was sent back to a Pennsylvania boarding school and spent summers with her parents in Africa. She graduated from Howard University, moved to Memphis with her husband and graduated from Memphis State University Law School in 1975 — while raising three sons. She first practiced law as an assistant public defender for the city and then for the county. Then, inspired to practice as a private defense attorney, she and two friends formed Memphis’ first all-female law firm — Coleman, Sorak and Williams. Next, she was appointed to serve as an assistant in the District Attorney General’s office where she remained for three years. Then this varied legal career took another turn, this time into the academic arena as assistant to the president and legal counsel for Dr. Thomas Carpenter at Memphis State. Ronnie is past president of the local Chapter of the National Bar Association, founding president of the Coalition of 100 Black Women, Memphis chapter, and active in Leadership Memphis, Goals for Memphis, and more. 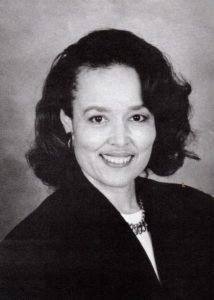 During her tenure as president of the Coalition of 100 Black Women, she initiated in 1984 the first volunteer mentoring program for teenage mothers.